Many people still do not know benefits and how to Backup BlackBerry Messenger (BBM) contacts. They worry about losing contact after they upgrade their BBM versions of their BBM. 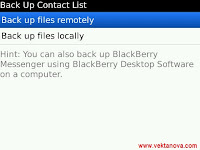 In this article, we will explain about how to backup your BBM contact and how to restore it. The first thing you should do is open up your BBM application and press the Menu button and select .Options'. Then, scroll down until you see a "Backup Management" section, there you can see 'Back Up' and 'Restore' session like the picture below here. 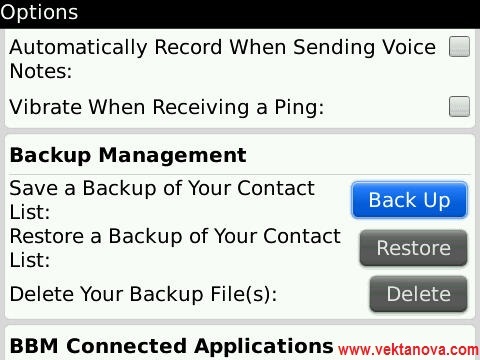 The screenshot of BBM Options, and from there we you backup and restore your BBM Contact. The choice of back up mode. If you choose 'Back Up', you will see those option like the picture on the left side, there are 'Back up files remotely' and 'Back up files locally'. 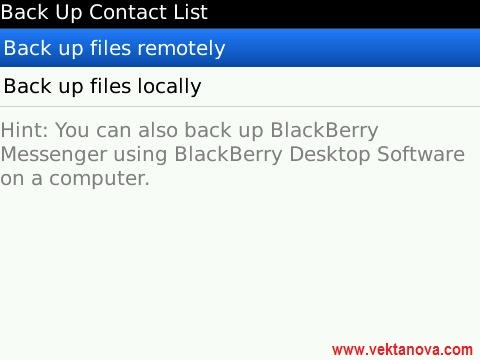 If you had set email for your BlackBerry, you can choose 'Back up files remotely', so the backup will be stored in your email database. But if you had not or wish to save your backup files in your local memory (phone memory or memory card), you should choose 'Back up files locally'. So your backup files will be saved in your phone memory or memory card. 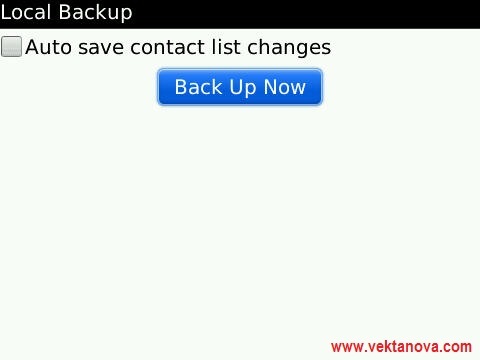 And every backup the files whether backup it remotely or locally, you will see "Auto save contact list changes" or we can call it "Auto backup mode" which means the BBM will be automatically save every changes and overwrite it to your last backup file. 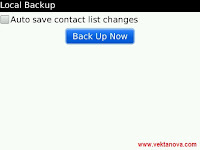 If you choose "Auto save contact list changes", next time you do not need to choose restore to restore back your BBM contact list. But if you did not choose it, you need to manually backup BBM contact list periodically and choose 'Restore' if you wish to restore your BBM contact list. So, from now on, you do not need to worry about losing your BBM contact by upgrading your BBM version or getting new phone. 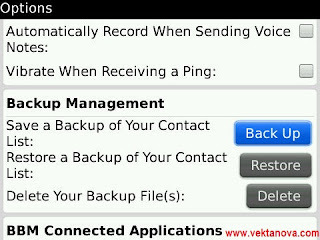 No response yet to "BlackBerry Messenger Contact Backup"